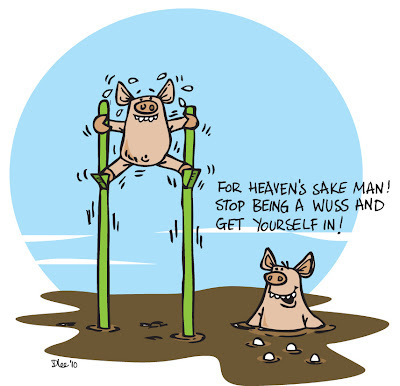 The Niles Crane of the pig world - that's for all you Frasier fans out there. Great characters, loving the bubbles. funny illustration. got an "after" cartoon? The characters are just brilliant! Superb illustration, I want to print one for you at A0 size!